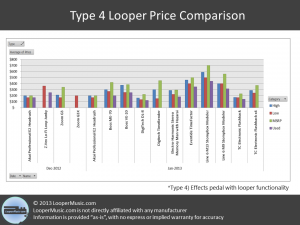 Want to figure out the best price you can get on a loop pedal? 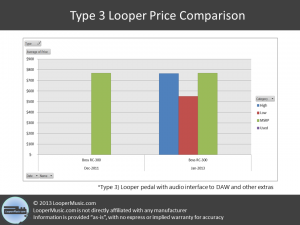 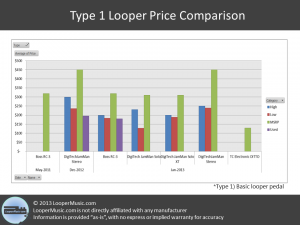 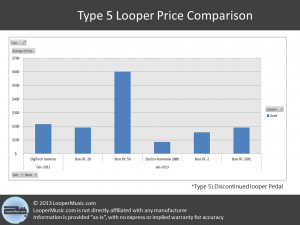 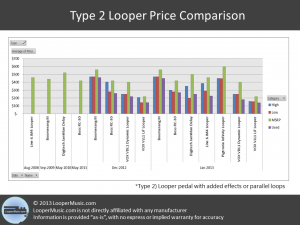 Don’t buy looper equipment unless you know you are getting a good deal! 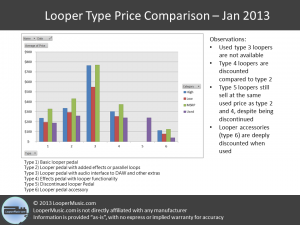 This equipment is usually available for a range of prices. 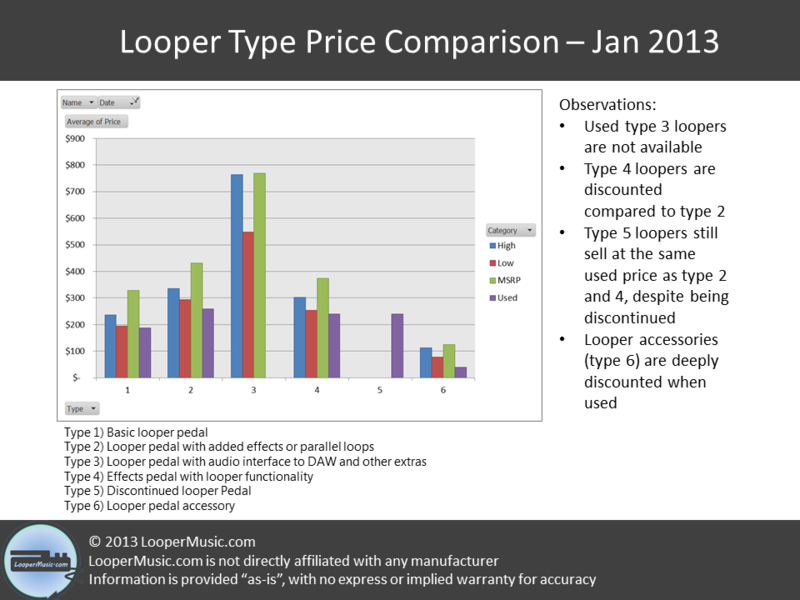 The price tracker is here to help you make sure you’re not overpaying. 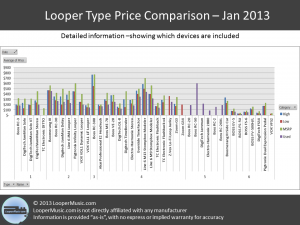 It is updated periodically or when a price change is found. 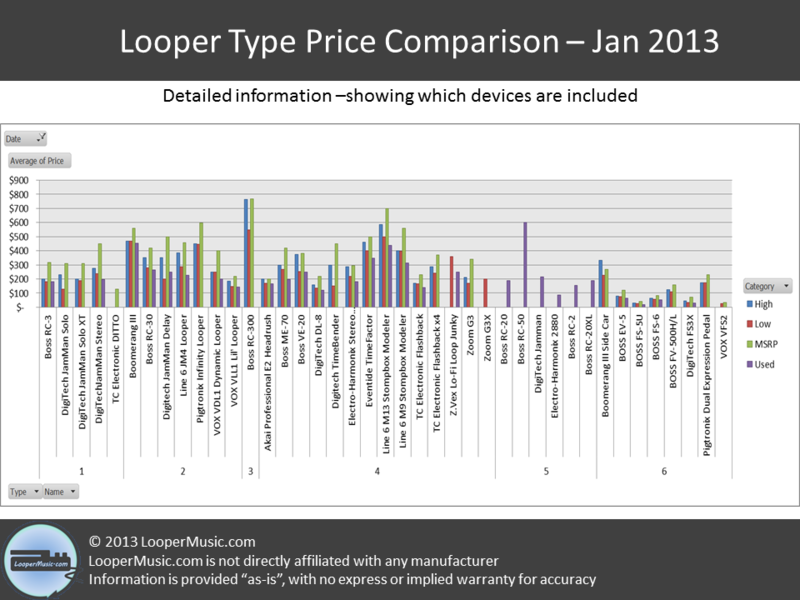 All pricing is in US dollars. 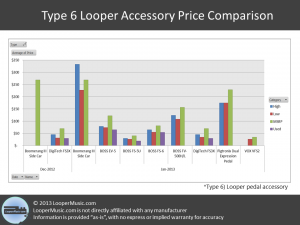 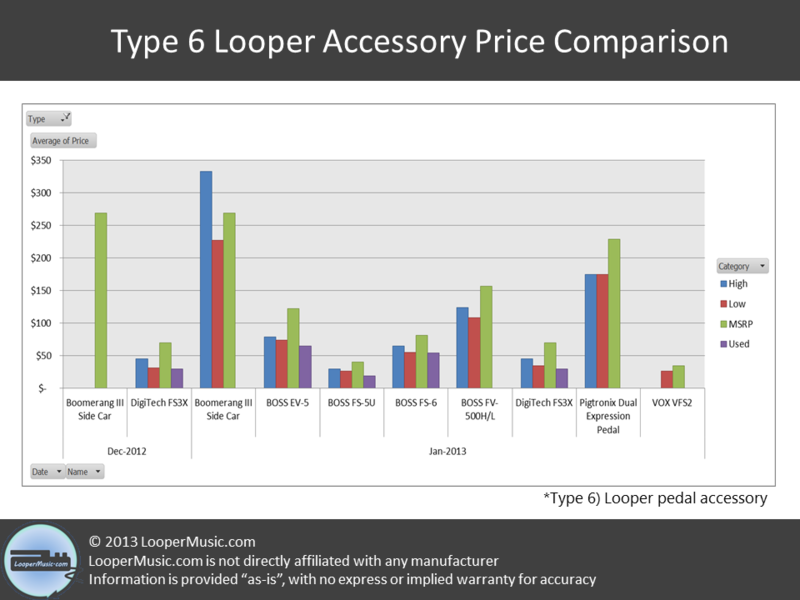 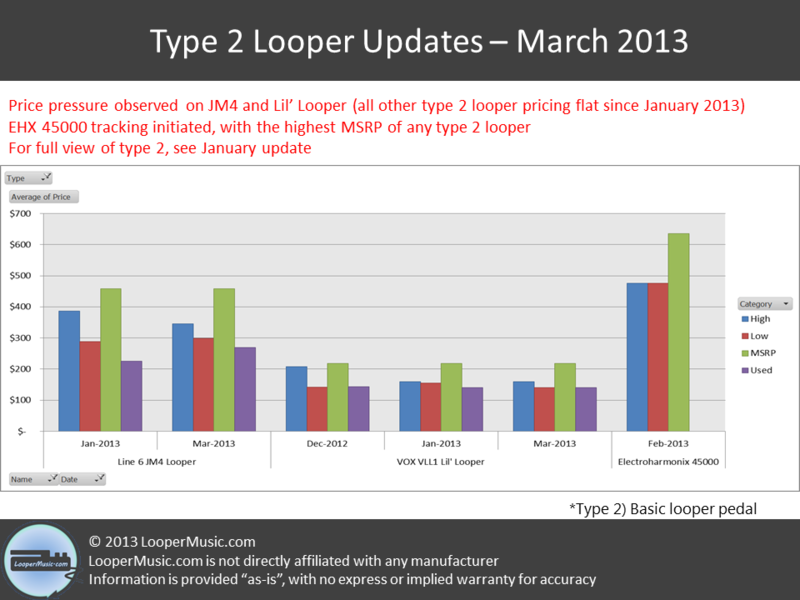 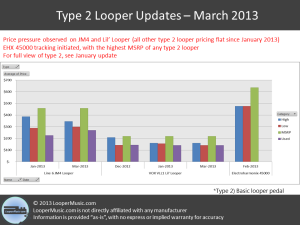 We categorize the looper equipment as described here. 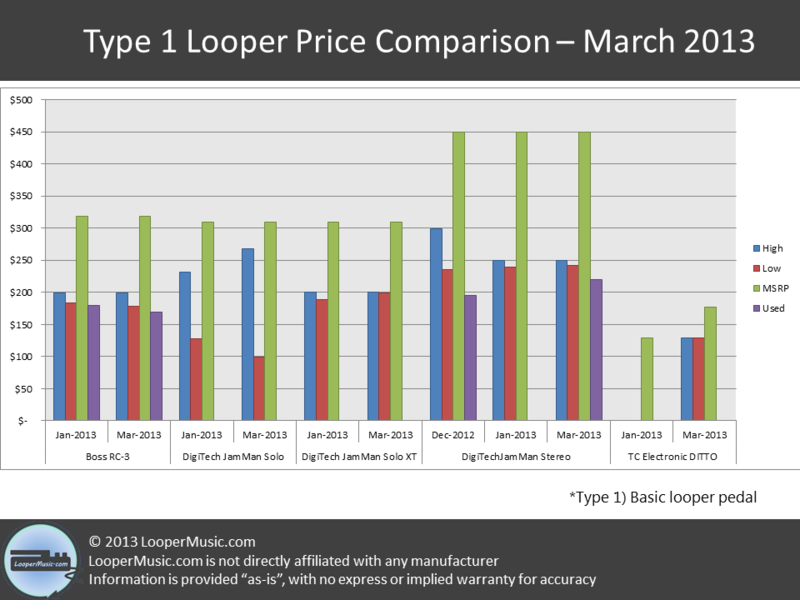 TC Ditto has officially been released and the MSRP is lower than any other type 1 looper. 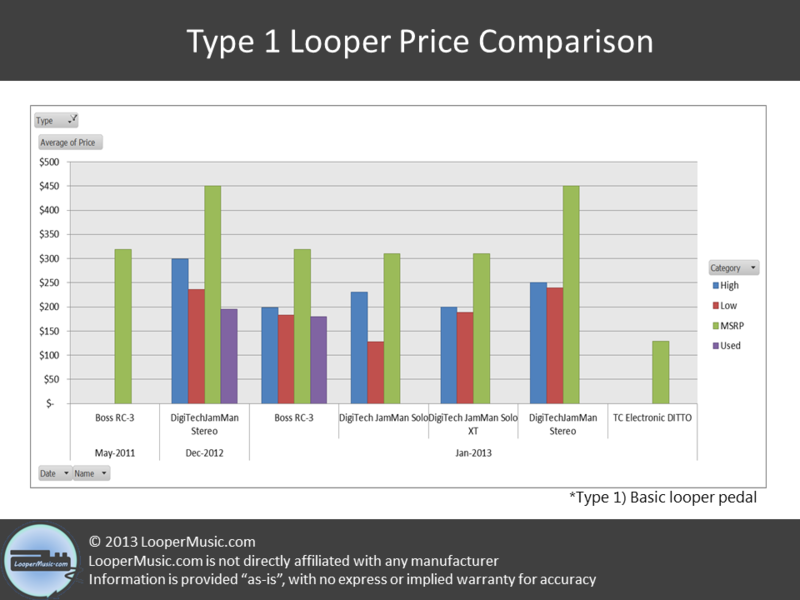 This is expected to be a market leader very soon. 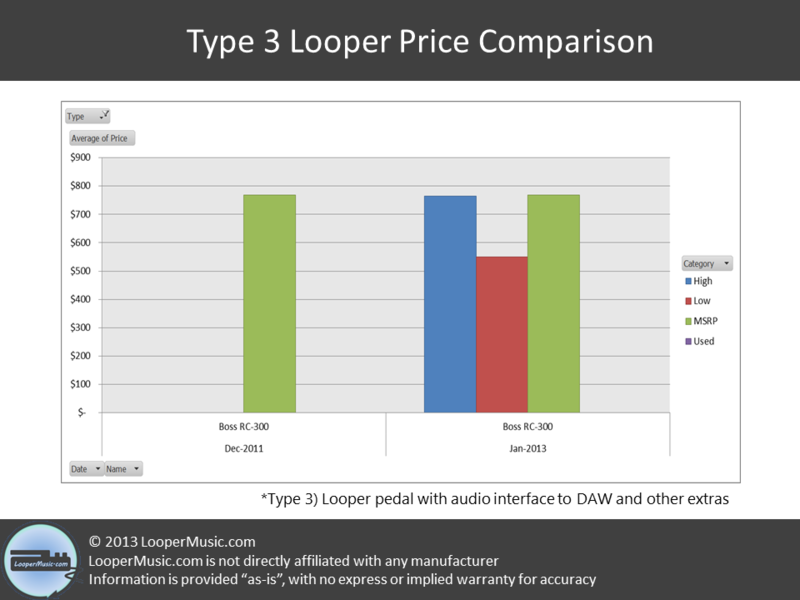 Original JamMan Solo is now going for as low as $99, likely due to pressure from TC Ditto and popularity of Solo XT. 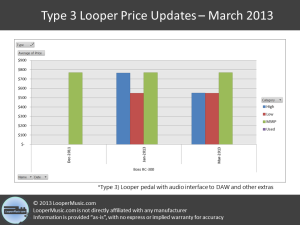 Likely that DigiTech will need to discontinue the JamMan Solo soon. 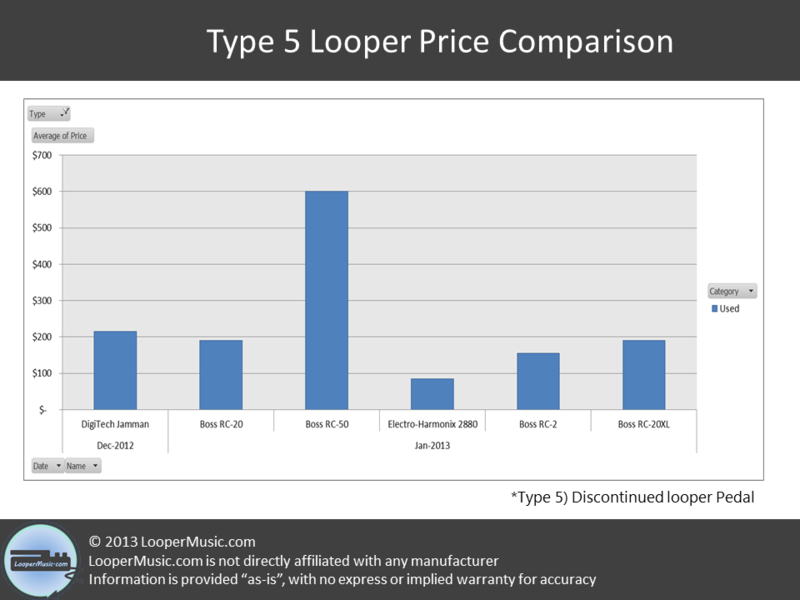 BOSS RC-3 new unit pricing has not decreased, even though we expected it to. 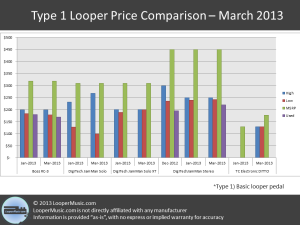 The used unit pricing has declined, however. 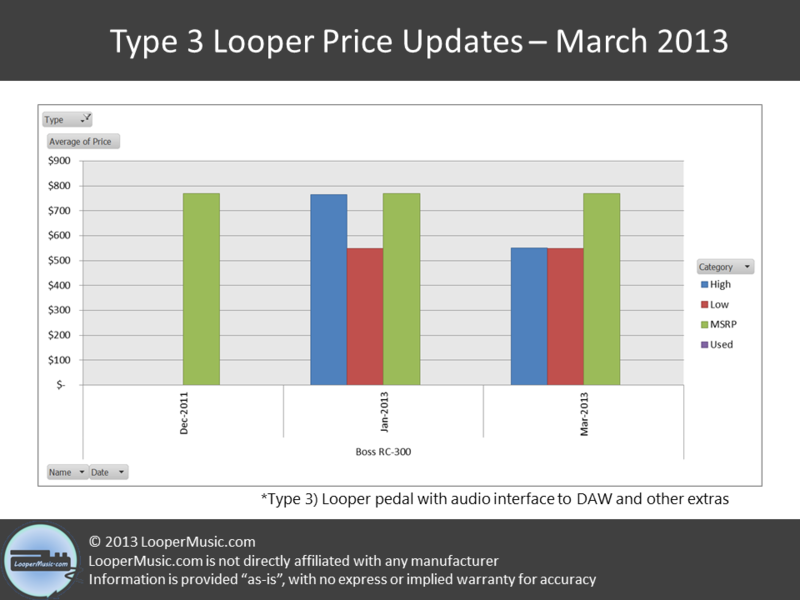 We expect BOSS to evaluate over the next quarter and make adjustments. 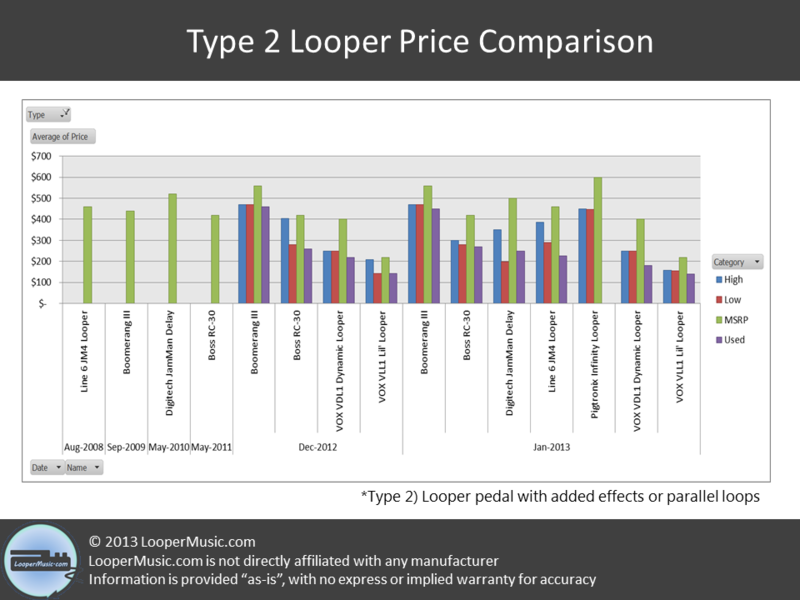 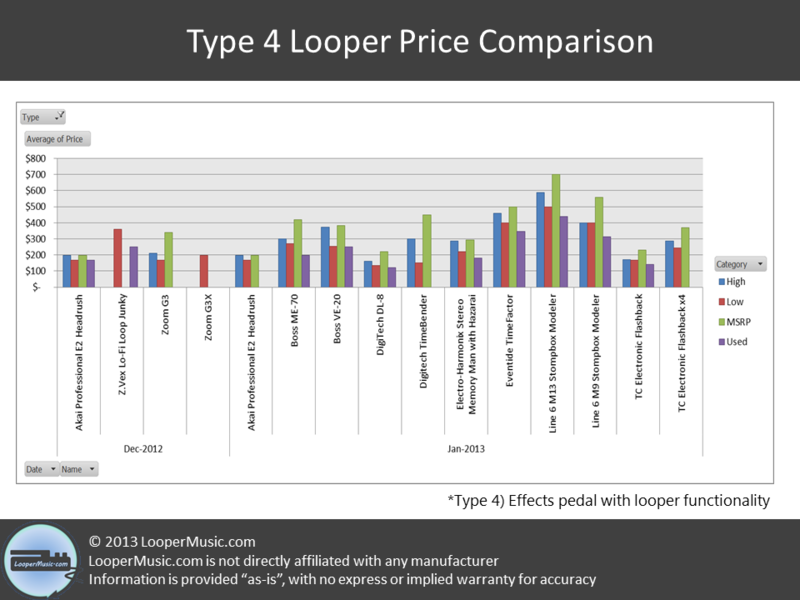 Price pressure observed on the high price point for the Line 6 JM4 and the Vox VLL1 Lil’ Looper.